Stumbled upon this unique way to set focus on lack of focus on the streets. 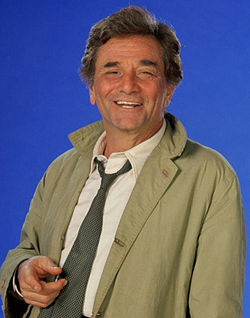 It might be even more relevant with the recent passing of Lieutenant Columbo – Peter Falk. He will be missed! Better Place is a new addition to the Kadaver project portfolio. As a launch of this new collaboration we have been engaged in creating awareness by guiding the electric cars through the streets of Copenhagen. 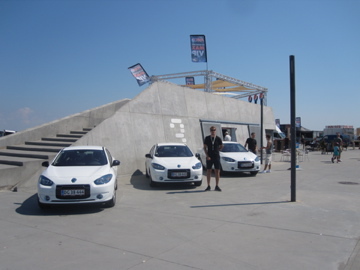 You could therefore see three electric cars (Renault Fluence Z.E.) around Copenhagen this past weekend, among other places at Islands Brygge, Amager Strandpark and Bellevue. Next weekend (July 17) you will be able to meet the cars at Rådhuspladsen from 10 am to 1 pm. See you there. In the past couple of years we have wondered whether or not it would be possible to reinvent the way that we define making donations. One of the reasons we have wondered is the fact that it seems like the way that people donate has not changed for the last decade – not remarkably anyway. 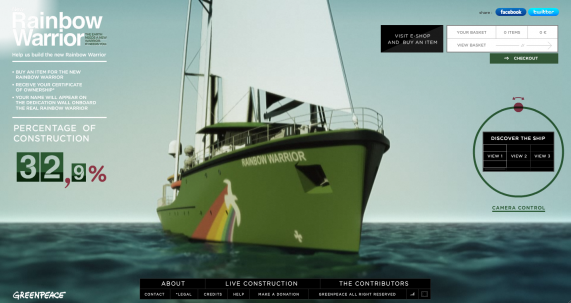 Recently Greenpeace launched a website to engage people in the creation of the new Rainbow Warrior – their flagship, so to speak… Their way of generating funds for the creation of the ship is a step in the right direction – but it can be taken even further to ensure loyal and engaged contributors. Getting a good start of the day! 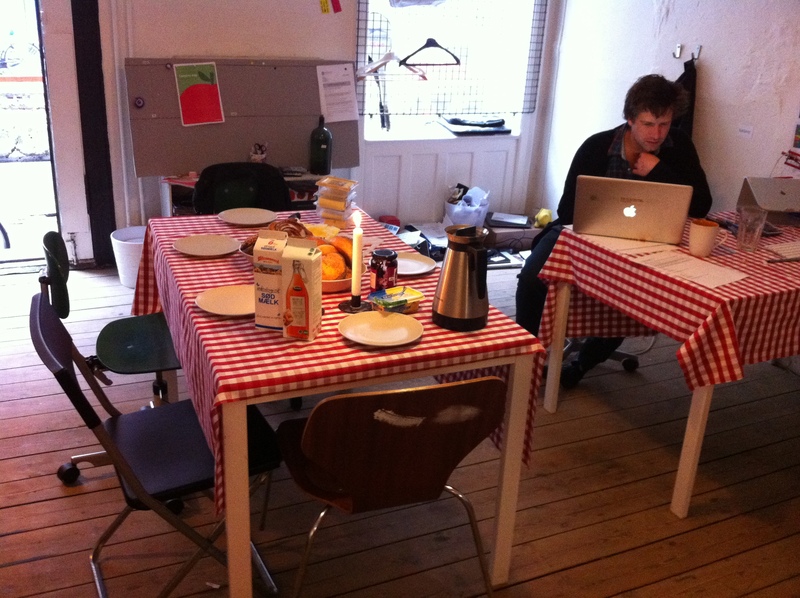 Anders and Søren from Kadaver on the other hand, made a good breakfast to welcome the day and the coworkers. One Year has Passed – Happy Birthday Mukhtar! One year ago a group of people gathered around Stengade in Copenhagen to celebrate the birthday of now famous bus-driver, Mukhtar. So on this day, his birthday, we can congratulate him again and celebrate the fact that the youtube-film is about to reach the 3.000.000-click mark. Tomorrow it will also be decided whether the movie will go from Creative Circle-shortlisted to Creative Circle-winner. Fingers crossed and Happy Birthday Mukhtar! At the Super Bowl 2011 VW aired their new commercial for the new Passat. Which in it self is relatively uninteresting, but the add hits surely strikes something in everyones hearts – regardless of relationship to Star Wars…. The Creative Circle! Playing with the big Boys! 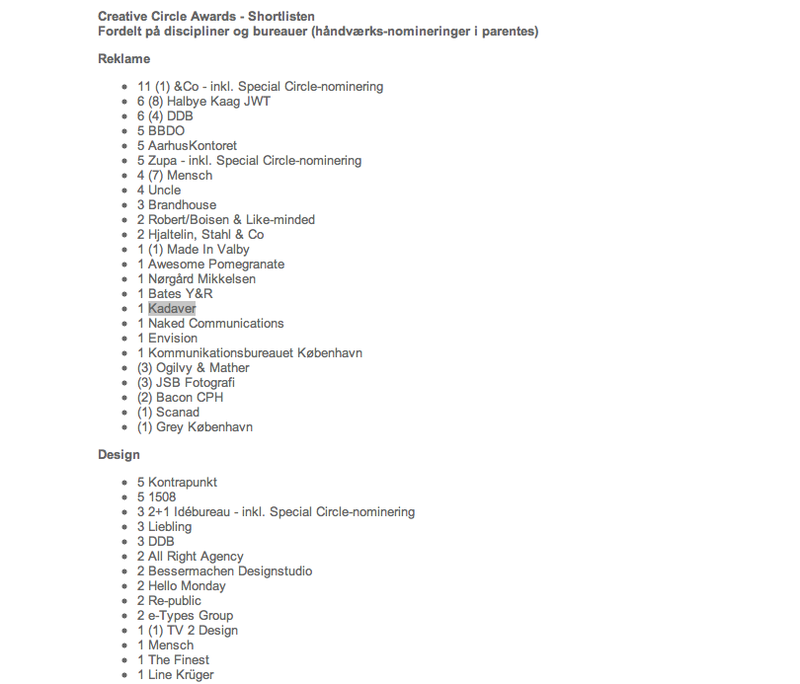 The Creative Circle award for agencies in Denmark are just around the corner! We are very proud to see that Kadaver is shortlisted between the different nominees for one of the biggest prices in the add world in Denmark. We got the news through the daily online magazine bureaubiz. We are of course participating with the Bedre Bustur campaign we have been creating together with Bybird. Here Kadaver keeps an online window of thoughts, ideas, source of inspirations, work flow and project progress posted. We will try to upload quiet a lot of small thoughts and hopefully we are able to inspire you in one way or an other. The list below changes as we browse through interesting sites on the web. Feel free to click and see where we find our daily inspiration.